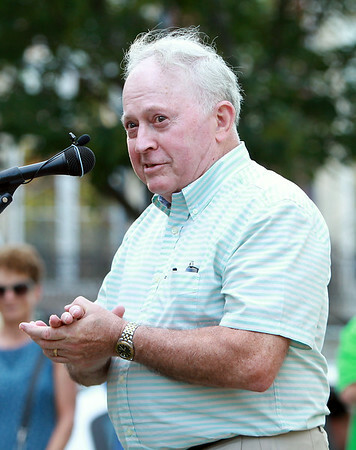 Former Beverly Mayor Bill Scanlon thanks a few hundred people who attended a short ceremony to dedicate a clock on Beverly Common to Scanlon for his 16 years in office. DAVID LE/Staff photo. 7/9/14.